Getting to the airport on time. Now, there's a nail-biting concept. Even if you set off with time to spare, there's still the traffic and Birmingham weather to deal with! On the other hand, an overnight stay near Birmingham airport means you can rest easy before your flight, especially if it's a very late or early one. The prices are nice too. Do you really want to spend the hours before your flight running around and getting stressed out? We certainly don’t! 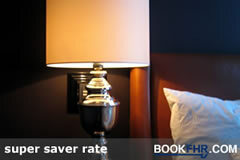 That is why we have brought you the very best deals on Birmingham Airport hotels. Here at UKACP we make your holiday less stressful by presenting you with a great selection of high quality airport hotel packages to choose from. We walk you through the entire process, so you can be confident you have chosen the best hotel for you. Firstly, you will pop your requirements into our search box. 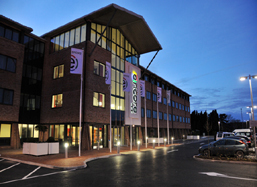 You can even select the facilities that are a necessity for you. We will then show you all of the suitable results in Birmingham. All airport hotels are displayed with a summary of the most important details. You can click for more information, including walkthrough videos. You have all the details you need to make the best decision for you. 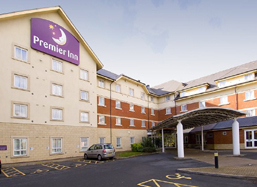 Once you find a Birmingham Airport hotel that appeals to you, simply book it through UKACP. It only takes a few minutes to fill out the required details. We’ll email you the confirmation and you’re good to go. If you are looking for something extra special, The Meriden Manor is a great choice. This is a Georgian hotel with a traditional feel. The hotel is located within a peaceful and countryside setting; the perfect way to relax before your vacation. If you thought that was good, the hotel will actually arrange a free taxi to take you to the airport as well. 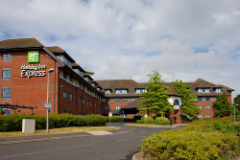 St Johns Hotel is a great option if you are looking for a Birmingham Airport hotel with parking. You can leave your car at the hotel overnight free of charge. To keep the kids quiet each room has movies on demand and free wifi. 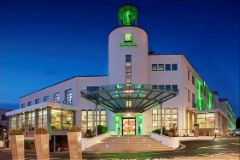 Other examples of great family friendly hotels include the Hilton Hotel Birmingham Airport, Express by Holiday Inn Birmingham Airport and Novotel Hotel Birmingham Airport. 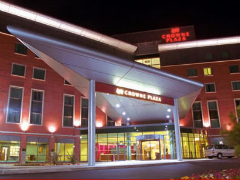 Take a look at our list of Birmingham airport hotels to view some of these. Click here. 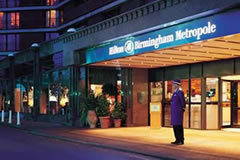 There are many Birmingham Airport hotels that make it easy for you to get to the airport. Holiday Inn Express South runs a free shuttle bus every 25 minutes, 24 hours a day. Coventry Hill offers a 24-hour transfer service, either via taxi or mini bus. 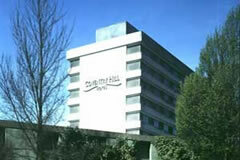 Or, if you want ultimate convenience, choose Ibis hotel. You are a two-minute stroll away from the airport check-in desk. Don't forget that if you decide not to stay in a hotel the night before you fly you can still save money on our Birmingham airport parking packages. We will always save you anything from 15 to 60% compared to the car park gate price.